The early rounds of the 2016 season were notably high-scoring compared to recent years. It was thought, including by me, that this could be a result of rule changes, including the interchange cap and deliberate out of bounds interpretation. 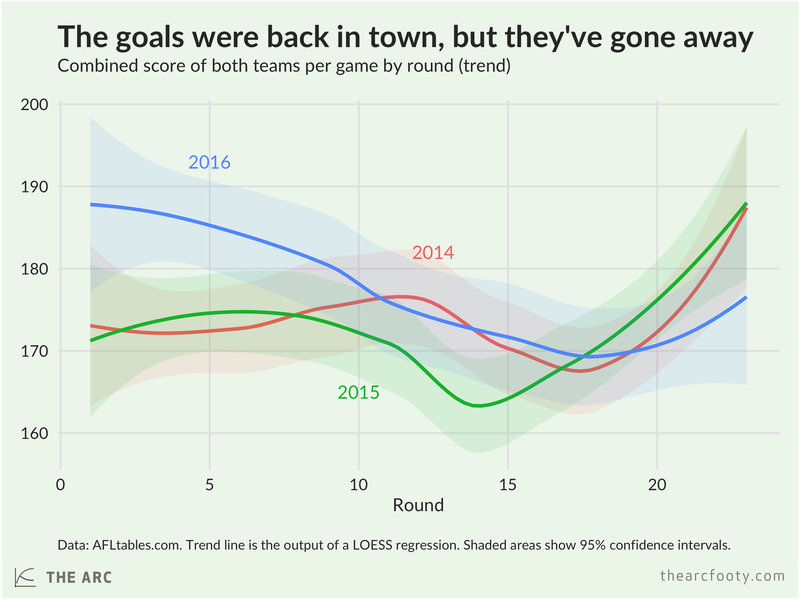 But by the middle of the year, average scores had drifted down to the level we’ve been used to in recent seasons, and the uptick in the final rounds wasn’t as dramatic as in 2014 or 2015.